I put them as common right away. OkamiShojo75 - You have been added to the Blue Dino, Green Dino and Purple Dino lists. dragonchic - You have been removed from the Green Firegem list by your own request. You have been added to the Yellow Zyumorph, Nexus, Dusk Pygmy, Risensong and Setsong, preference no inbreeding on all. CrazyChess - You have been added to the Sunset and Setsong lists. ava89 - You have been added to the Dusk Pygmy and Setsong lists. 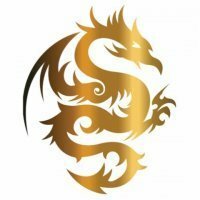 commandoninja - You have been added to the Gold, Silver and Gold Shimmerscale lists. eventide16 - I'm afraid I can't add you to any list due to your dead egg. Please wait for it to vanish and request again. Cecona - You have been removed from the Yellow Undine list by your own request. You have been added to the Blue Zyumorph, Red Zyumorph and Pink Zyumorph lists. Peregryn - You have been added to the Pink Zyumorph and Yellow Zyumorph lists, preference no inbreeding on both. OmegaNu - You have been removed from the Blue Zyumorph list. Congrats. You have been added to the White Zyumorph list, preference no inbreeding. Rykan - You have been removed from the Blue Firegem list by your own request. You have been added to the Dusk pygmy and Setsong lists. Kikuchi - You have been removed from the Cheese list. Congrats. You have been added to the Yellow Dino list. You have been removed from the Paper list. Congrats. You have been added to the Purple Dino list. Imzadi83 - You have been removed from the Morphodrake list by your own request. Low-key_Loki - I'm afraid I can't add you to any list due to your dead egg. Please wait for it to vanish and request again. Amethyst Smoke - You have been removed from the Pink Zyumorph list. Congrats. Rave4Raptors - I'm afraid I can't add you to any list due to your dead egg. Please wait for it to vanish and request again. Demnwolf - You have been removed from the Bronze Shimmerscale and Silver Shimmerscale lists by CapriciousT's request. Congrats to both. Frauke - You have been added to the White Zyumorph list. Amethyst Smoke - You have been removed from the Yellow Zyumorph list by your own request. RadiantSunsets - You have been removed from the Red Dino and Green Dino lists. Congrats to both. Sumiku44 - You have been added to the Purple Dino, Yellow Dino and Blue Dino lists. Zill_15 - You have been removed from the Thunder list. Congrats. Indy80 - You have been removed from the Pink Zyumorph list. Congrats. OmegaNu - You too have been removed from the Pink Zyumorph list. Congrats. Nofnof - I'm afraid I can't add you to any rare list due to your fogged eggs. (Since we can't see what they are. ^^') Please request again and either have everything unfogged by the next update or get a mod to check what you need to fog. WaterScorpion - You have been added to the Nexus list. And removed again. Congrats. Flamekitty48 - I'm afraid I can't add you to any list without a link to your scroll. Please request again and see if you can figure it out by the next update. shazza - You have been removed from the White Zyumorph list. Congrats. Kaekaz - You have been added to the Vampire list, preference no inbreeding and one of each gender. List Request: Alt Black Dragon, Thank you!! List Request: Script Dragon and Cheese please! Gold Shimmerscale Claim my eggs/hatchlings! Gold Tinsel Claim my eggs/hatchlings! The egg is actually from the user kruemeline, however, they did not have an account on the forums so darkmoore sent it on her behalf. Thank you! Golden Wyvern - Claim my eggs/hatchlings! Don't forget to report if you adopt him! You're welcome, ava89! Enjoy & feel free to freeze if you'd like! 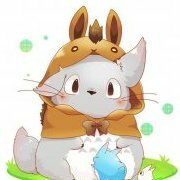 Sooo, how about a cute Script hatchling? Has not yet gendered & 5 days 20 hours to grow up or get frozen! Anyone... ...anyone? Hatchling is now gone... Don't forget to report!